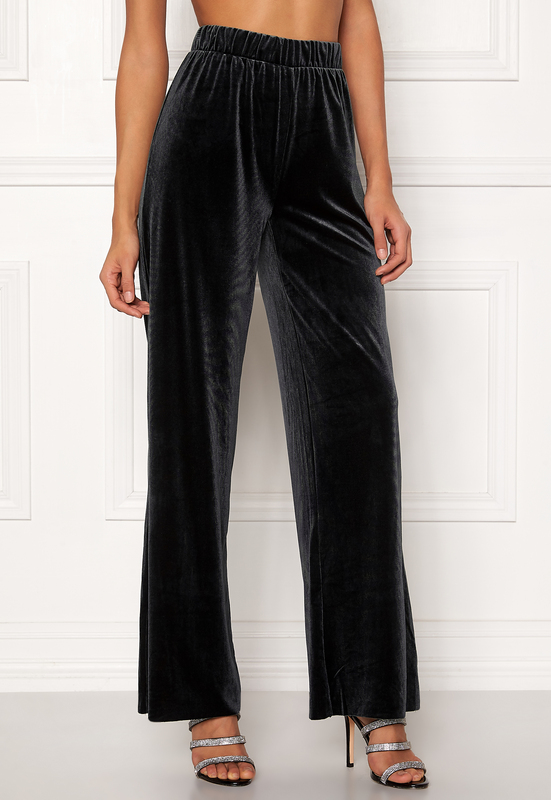 Elegant velvet pants from VERO MODA. 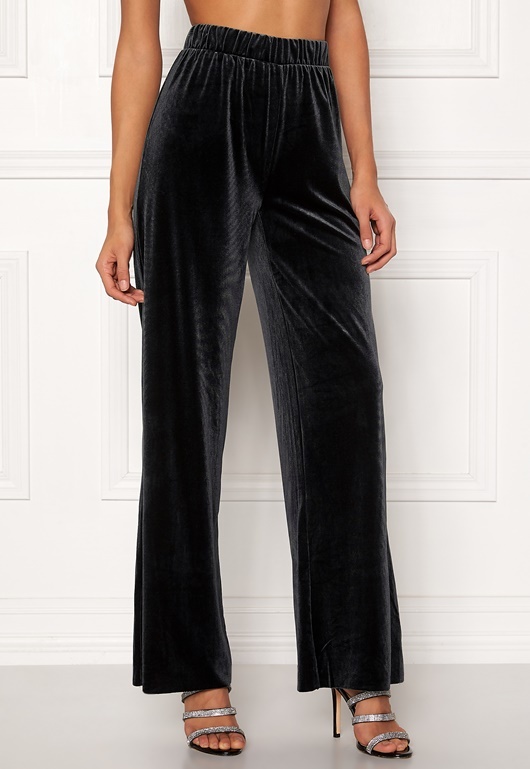 The pants have wide legs and a great fit, and can be used for both everyday and party wear. - Stretchy quality - Elasticated at the waist - Wide legs - Relaxed fit Inside leg 79 cm, front rise 30 cm, waist 74 cm, in size S. The model is 176 cm tall and wears a size S. Machine wash at 30 degrees.